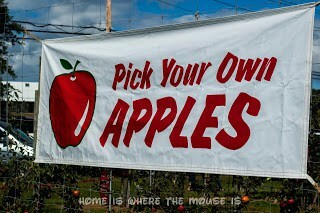 Got apples? 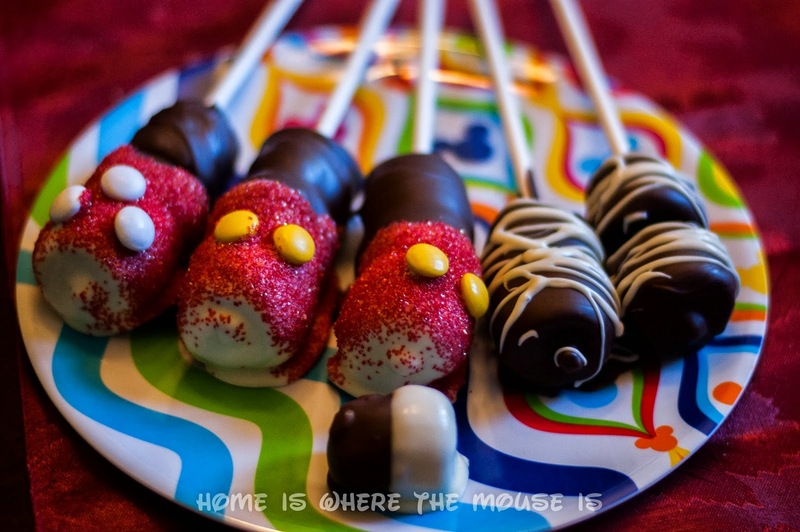 Put a Disney twist on a traditional fall treat! 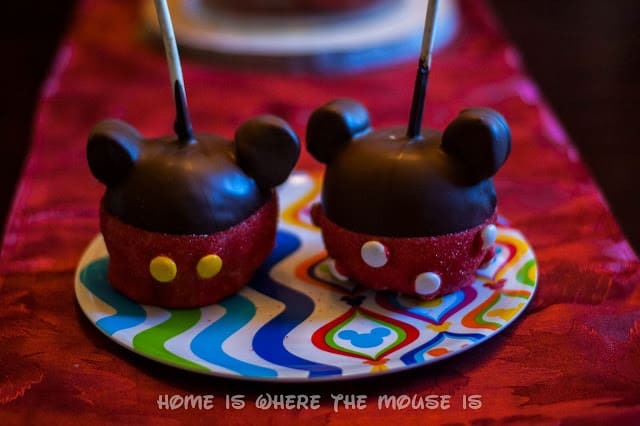 Make your own Mickey and Minnie Candy Apples! As Pumba says, “you’ve got to put your behind in your past.” Now that Fall has officially arrived, we can stop lamenting the end of Summer and start appreciating the great things that Autumn brings to us. But fear not! Disney’s pixie dust not only prevented that one bad apple from spoiling the rest in their barrel, but has worked its magic and transformed a naturally sweet treat into something magical. 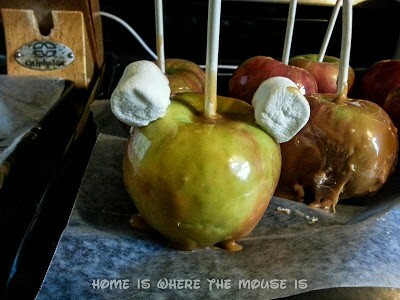 From your basic caramel coated apple, to chocolate and toppings, to character creations, Disney is doing apples, and doing them with magic! 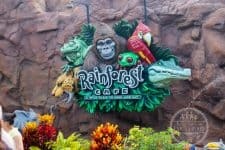 At several locations in Walt Disney World, you can watch as they make a treat especially for you, exactly how you want it made! Here’s a Disney chef at the Main Street Confectionery in the Magic Kingdom demonstrating how to make the classic Mickey Candy Apple. 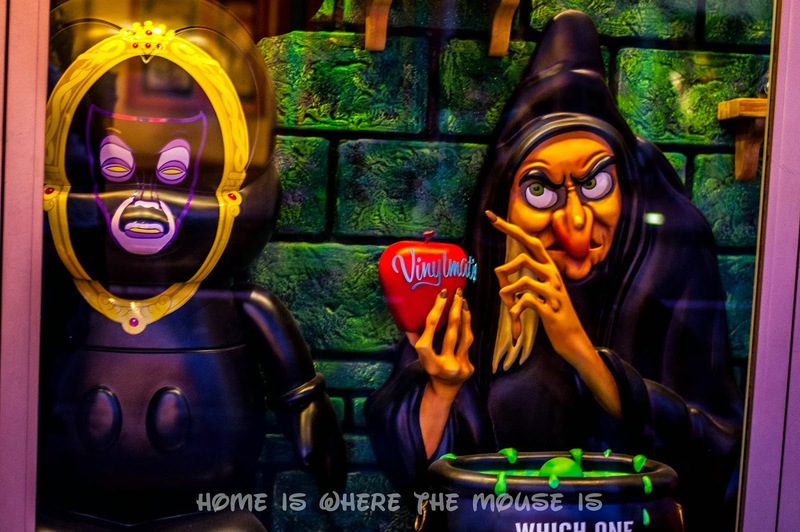 Now, as much as we’d like to be in Walt Disney World everyday, it’s just not possible for us. 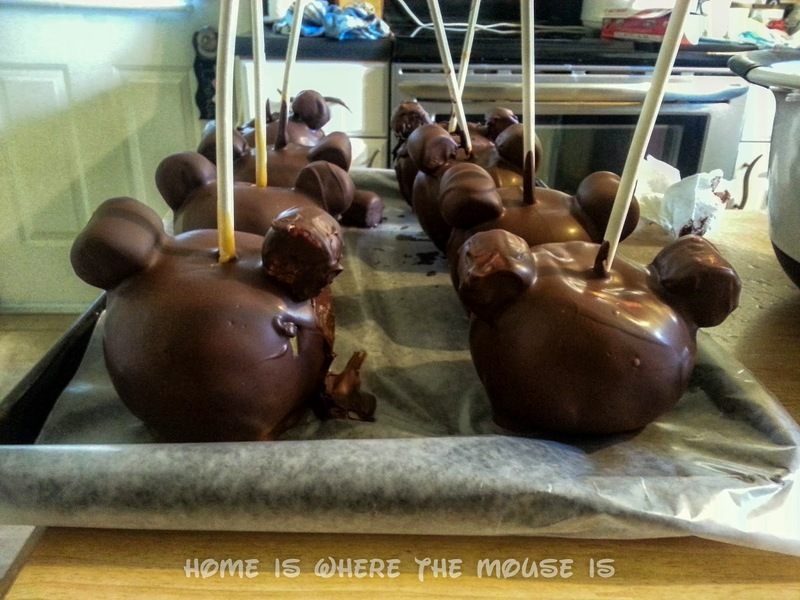 So we’re going to make our very own Mickey and Minnie Candy Apples at home. This is the most important part. The Internet is full of advice as to which apples make the best candy apples. I’m thinking this is a lot like using wine in cooking: Choose your favorite. 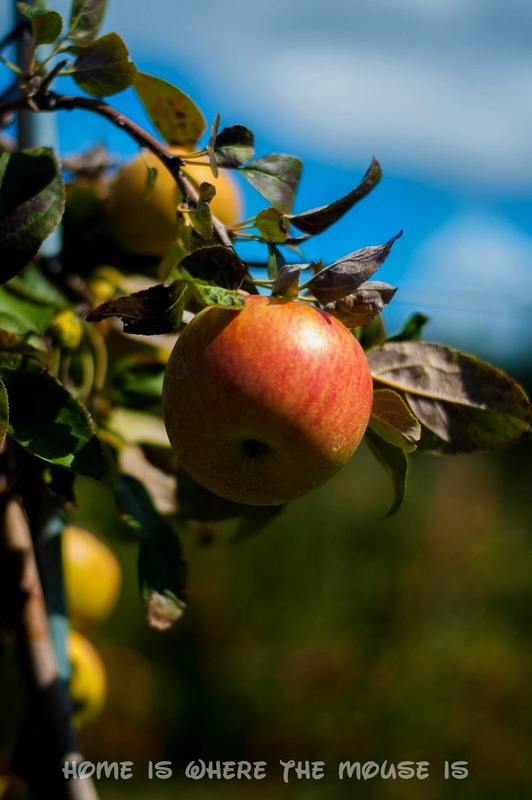 If you’d enjoy the apple on its own, then you’ll enjoy it even more once we’ve pixie-dusted it! We just happened to have gone on our annual apple-picking outing over the weekend. 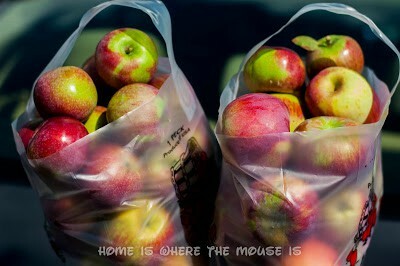 We came back with McIntosh and Fuji apples, which were decent size. We also got a handful of Macoun apples which are very tasty, but also very small. 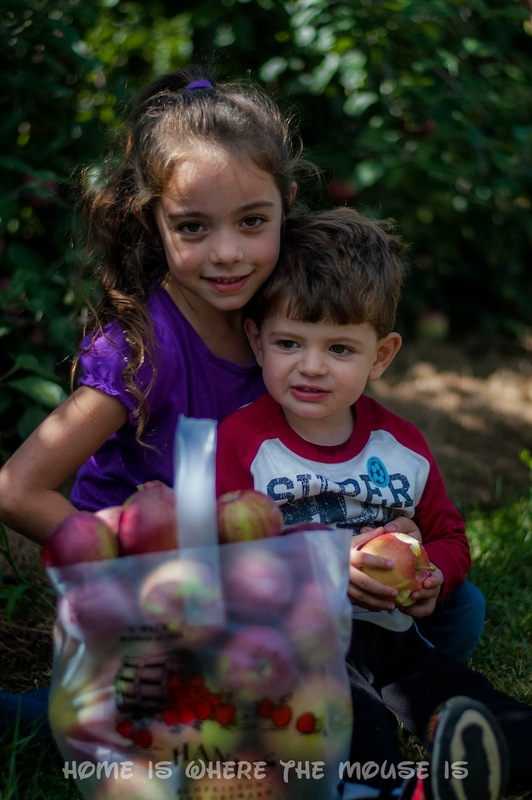 Nobody says you have to go out and pick yours fresh like we did. If you can, that’s great! 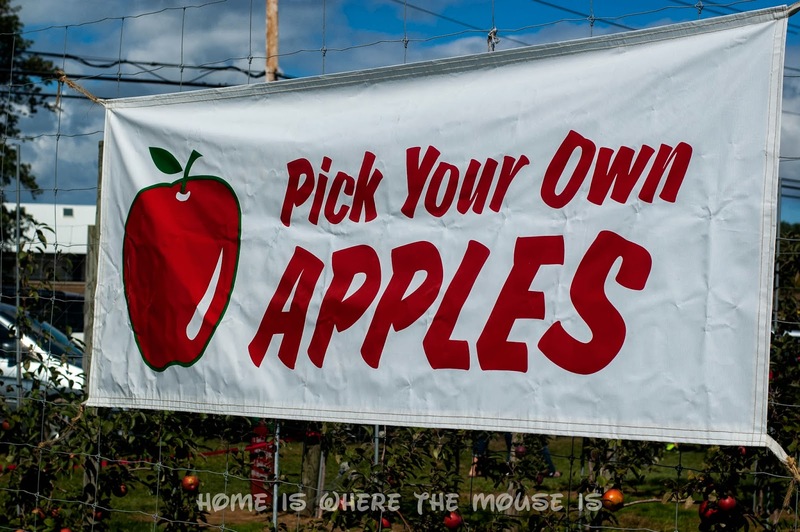 If not, store-bought apples will do. Again, as long as you’re not getting them from an old hag, we think you’re okay. In the video, the they use a mallet to hammer in her sticks. I wasn’t about to bring my dirty tool from the garage into the kitchen, so I grabbed an unopened canned good from the pantry. Make sure to hold the stick so it doesn’t bend or break. This step obviously requires the caramel to be melted. I used 2 bags of caramels I bought at the store. They were individually wrapped, which was annoying. 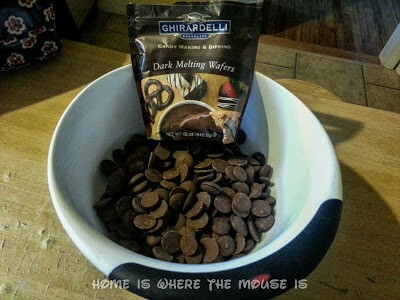 But I got them all unwrapped and into my bowl. 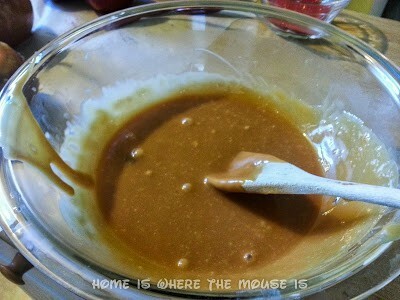 I followed some instructions I found online for melting the caramels. Basically, I microwaved on 50% power, stopping every minute to stir. I had added 3 tablespoons of water initially to the bowl, but found I needed to add 3 more at the end to help thin out the caramel. 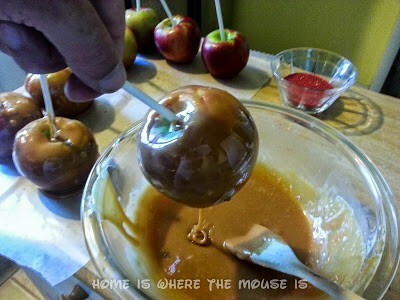 Once I had the desired consistency, I dipped each apple and then placed them on the wax paper. I decided to do half my apples in caramel, and leave the other half to just be coated in chocolate. This part gave me the most trouble, mostly because I didn’t pay enough attention to the video. In the video, you can see that the chef cuts the marshmallows before sticking them on. 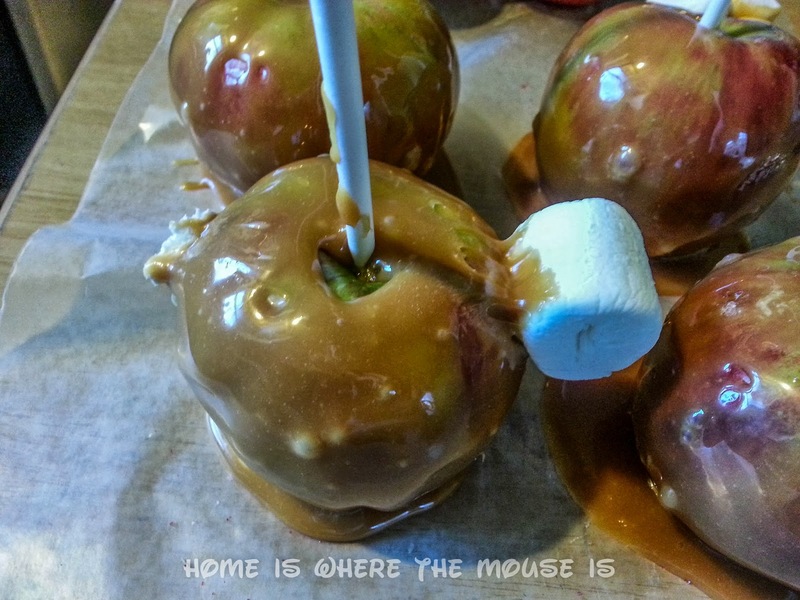 So there I am, trying to stick my marshmallows to the caramel coating on the apples, only to watch them slide slowly down the sides. 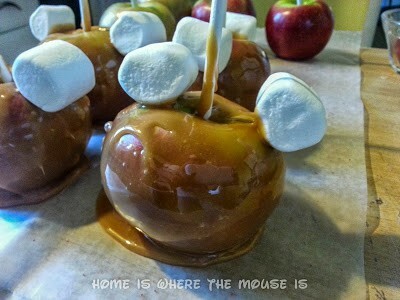 Without slicing the edge of the marshmallow, they just slide off the apples. my pile of failed ears. 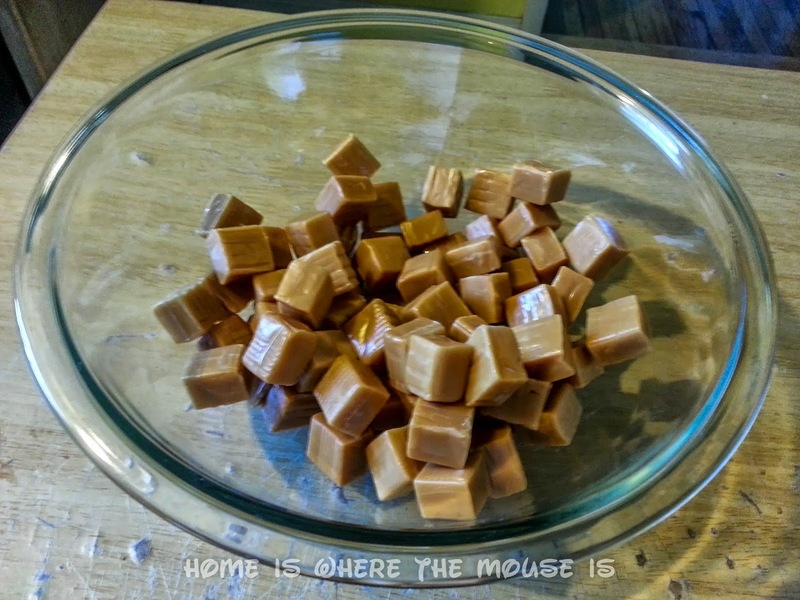 I waited for the caramel to set and tried again, and still, they slid down, just more slowly. I started to accumulate a pile of wasted marshmallows. 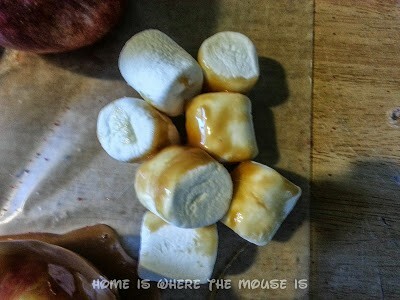 Lisa pointed out my mistake and once I tried cutting the marshmallows, everything was great! Covering in chocolate is just like the caramel step. 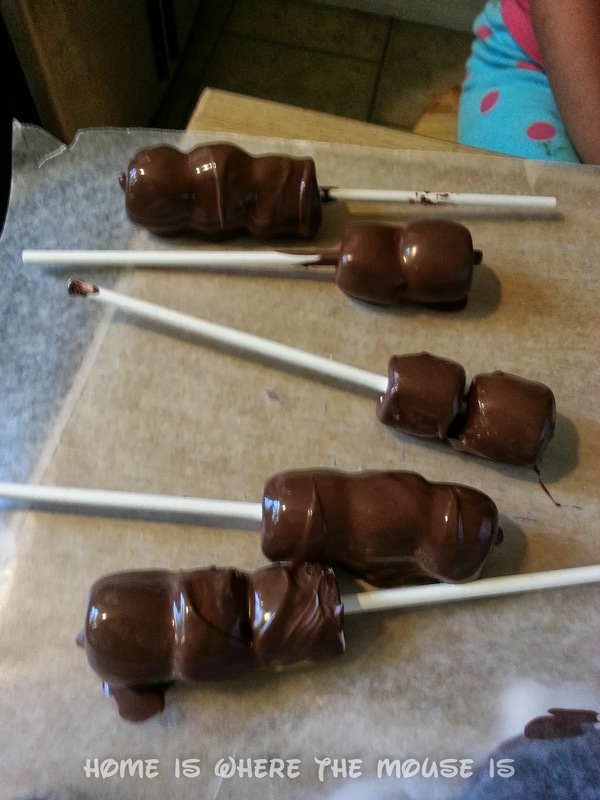 Melt your chocolate the same way and once you get a good consistency, you can dip and set aside to harden. I bought Ghirardelli melting chocolate, but you can chocolate bars, chocolate chips, or any other solid chocolate to melt. With practice, I was able to get a good coating. A few apples ended up with more “texture” than others. 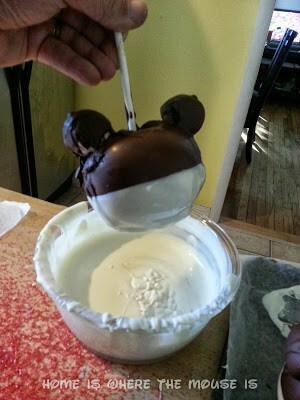 To make Mickey’s shorts and Minnie’s skirt, I melted white chocolate in a bowl and then dipped the apples half way in. Let the excess chocolate drip off. I used an extra lollipop stick to scrape the bottom. As the chocolate begins to set, but is still sticky, add the M&Ms. 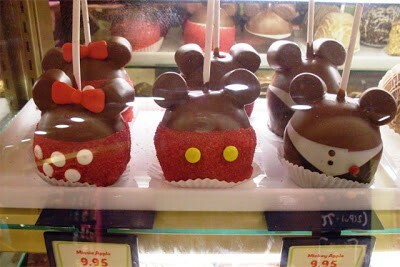 I put two yellows on the front and back for Mickey, and I put the white “polka dots” all around the Minnie apples. 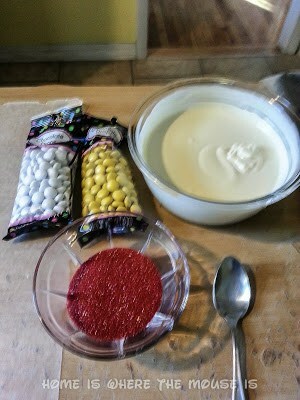 Then, sprinkle the red sugar over the white chocolate and shake the excess off. Set aside to harden completely. 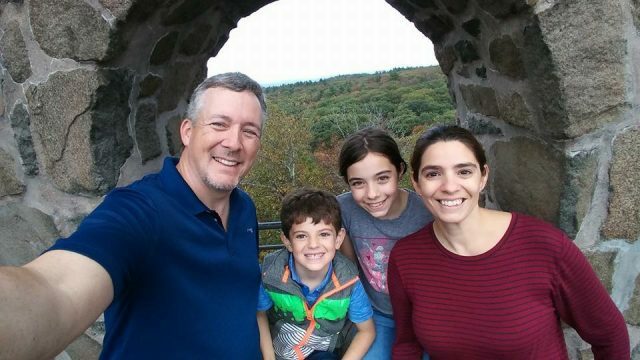 Don’t they look great?! I have to say that these two made me feel very proud of myself. There were some others in the group that didn’t come out as good. I’m not the cook/baker/chef in the family. Not by a long shot. Lisa often makes fun of how flustered I get in the kitchen. That’s partly because I can’t visualize how it’s supposed to go. 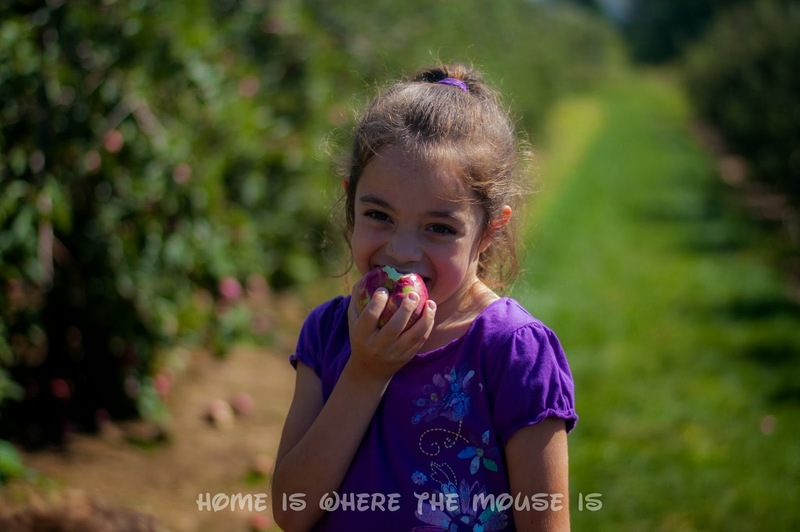 In this case, being able to watch the video of the apples being made really helped. I went into it having an idea of how it was all supposed to look. That said, I have a lot of caramel and white chocolate left over. My decision to only cover half the apples in caramel is partly to blame. I also used larger bowls then I needed to, so I needed to fill them up more in order to be able to dip my apples. Next time, I’ll opt for a more appropriate size bowl to make it more efficient. Another thing I did differently without realizing it was I kept the apples “right side up” when i made them. It appears the pros do it up side down. oops. I still have a big mess to clean up… so let me get to it. In the meantime, your thoughts… Let’s hear ’em! 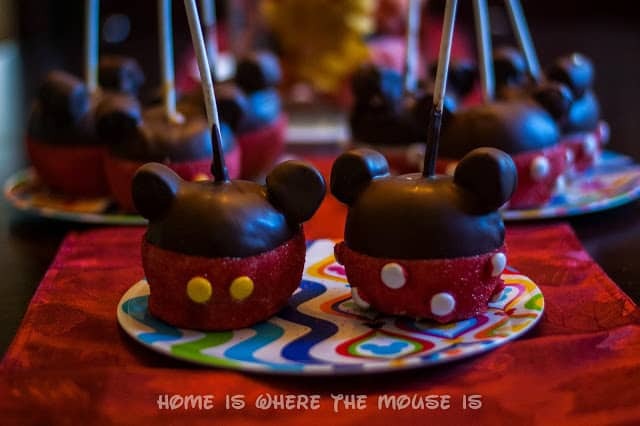 Can you see yourself making Mickey and Minnie candy apples at home this fall? Thanks, Beth! I wish I did! LOL! Thanks, Kelly. Unfortunately, I just had some dental work done the night before I finished these, so only soft foods for a few days. 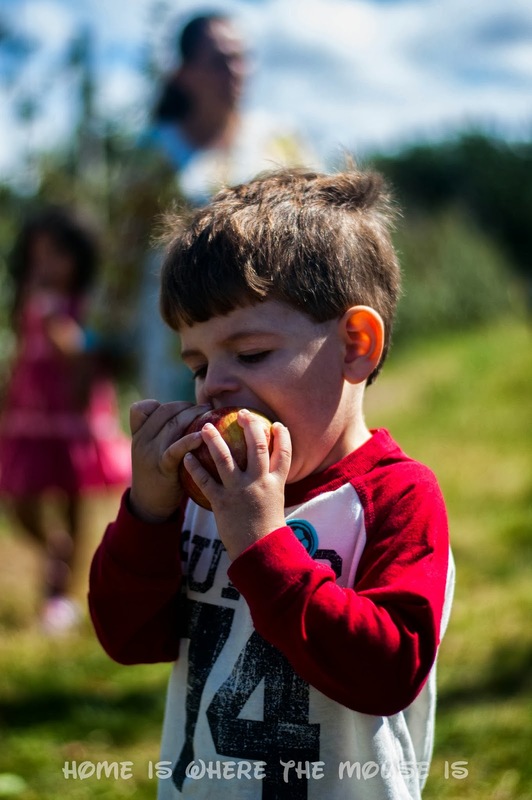 Those apples will have to wait a little bit. Thanks, Beth! That's one of the great things about this blog. It's given me a reason to do a few things I never thought I would get around to doing! How did the ones with just chocolate work? Did the chocolate stick to the Apple? Or do you definitely need caramel first? 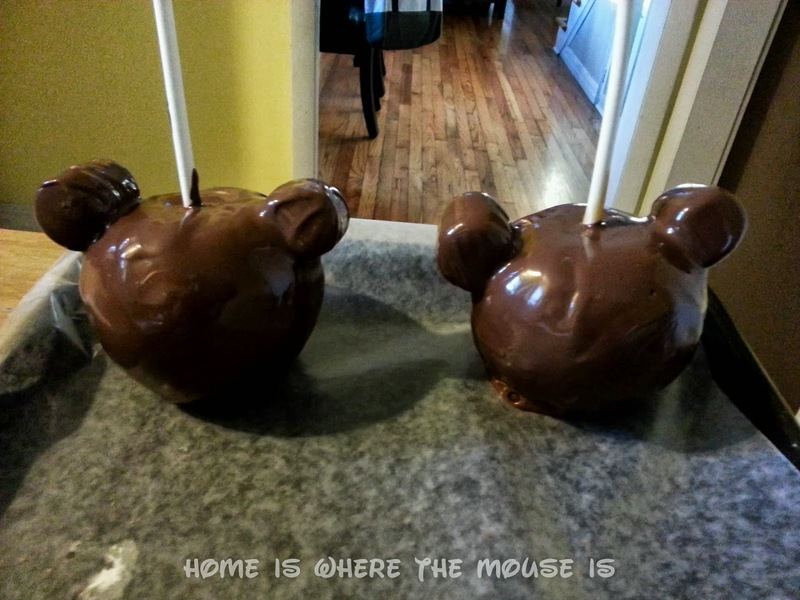 The chocolate stuck to the apples very well. 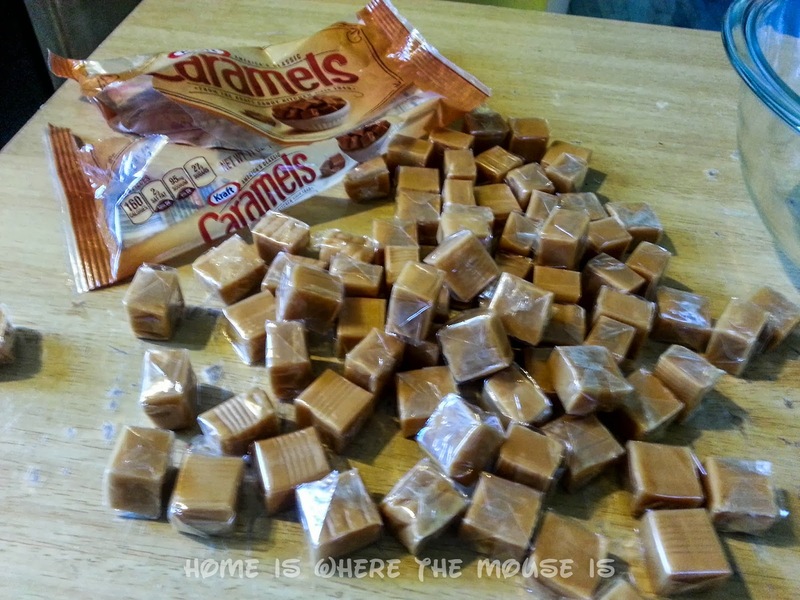 You definitely do not need to use caramel. 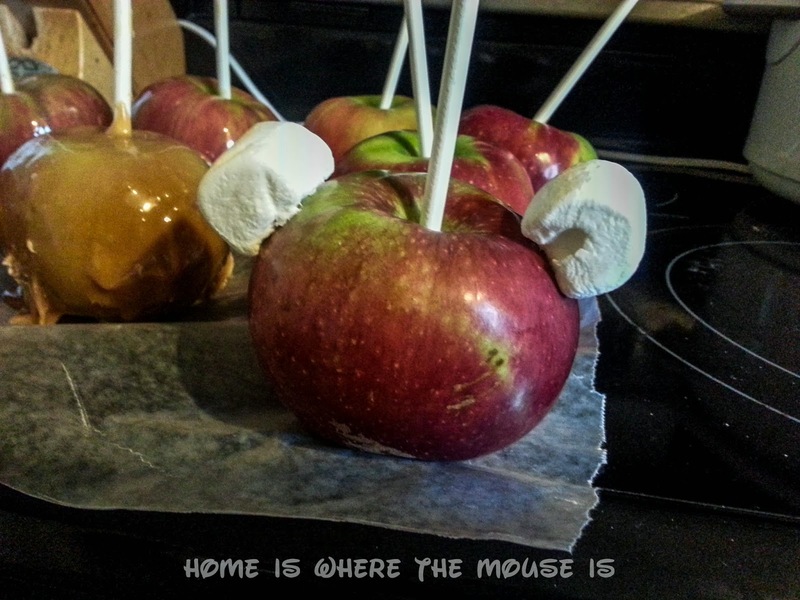 Thank you for reading and have fun making your candy apples!! What did you mean by cutting the marshmallows ? Do you recommend putting in fridge afterwards ? The surface of the marshmallow is too smooth, which is why they were sliding off the apple. You want to slice off one of the long edges, just enough to expose the sticky part of the marshmallow. 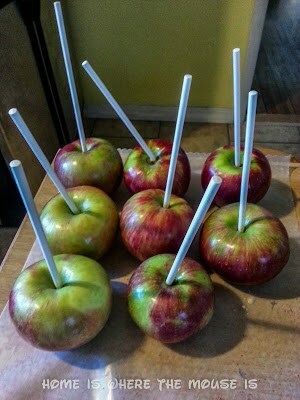 Then it will stick to the apple. Placing them in the fridge (if you have room) is a good way to speed up the hardening of the chocolate. 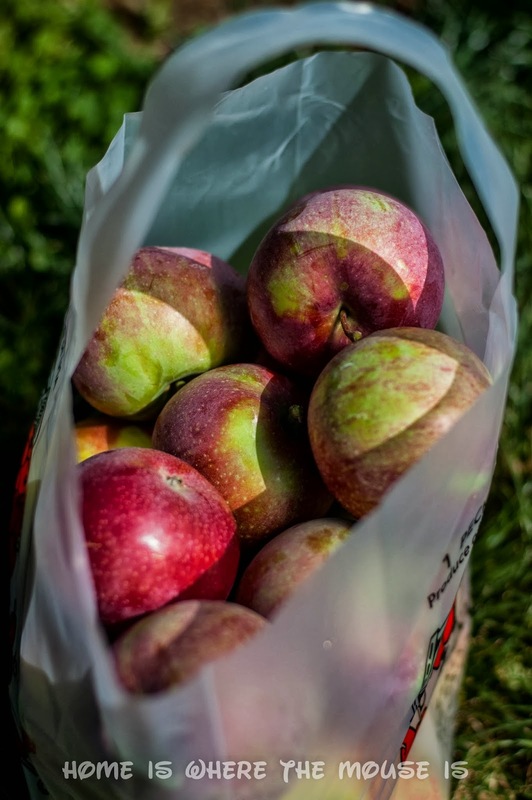 If you aren’t eating them right away, you can store the apples in the refrigerator to keep them fresh. I would probably take them out and let them warm up to about room temperature before eating one if it’s been inside the fridge for a while.